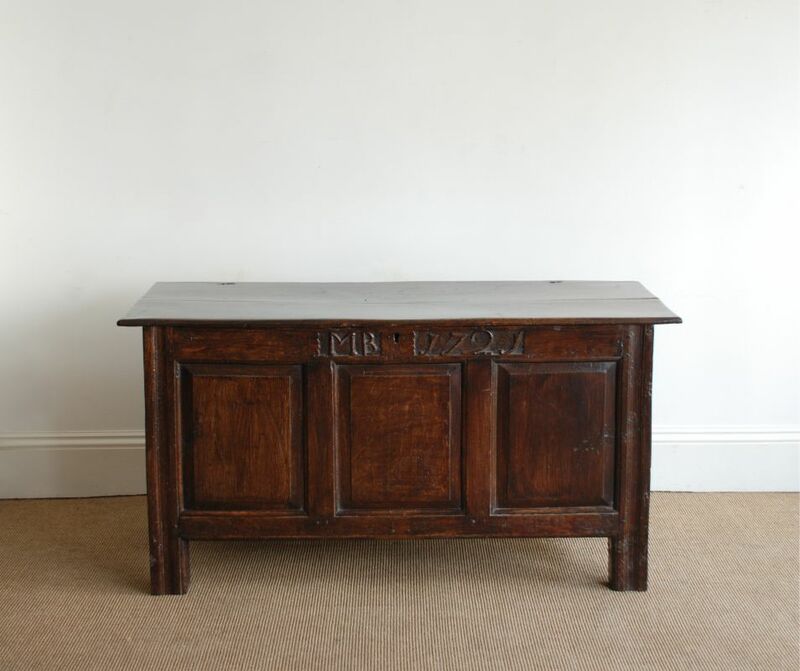 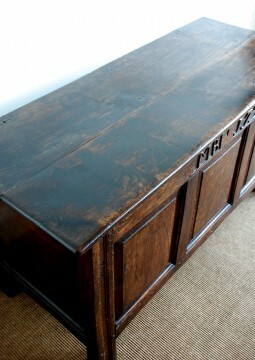 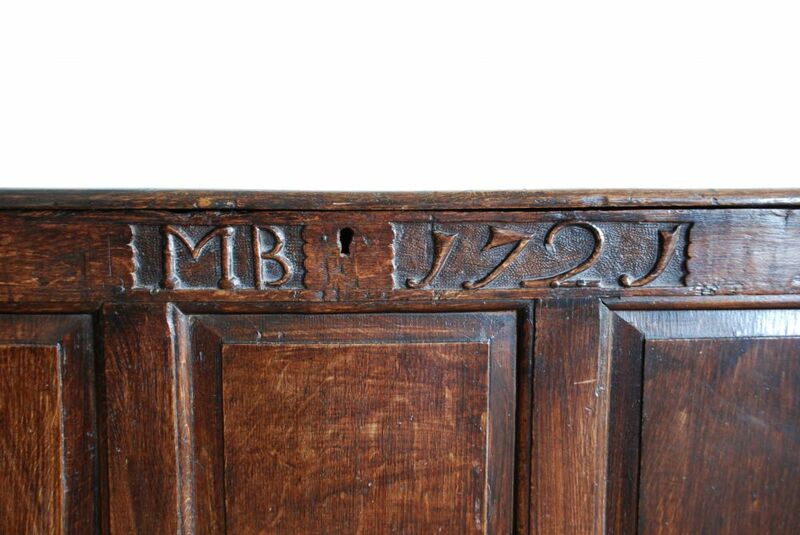 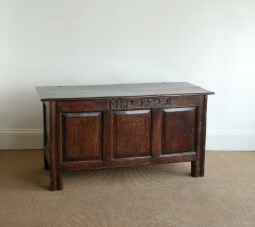 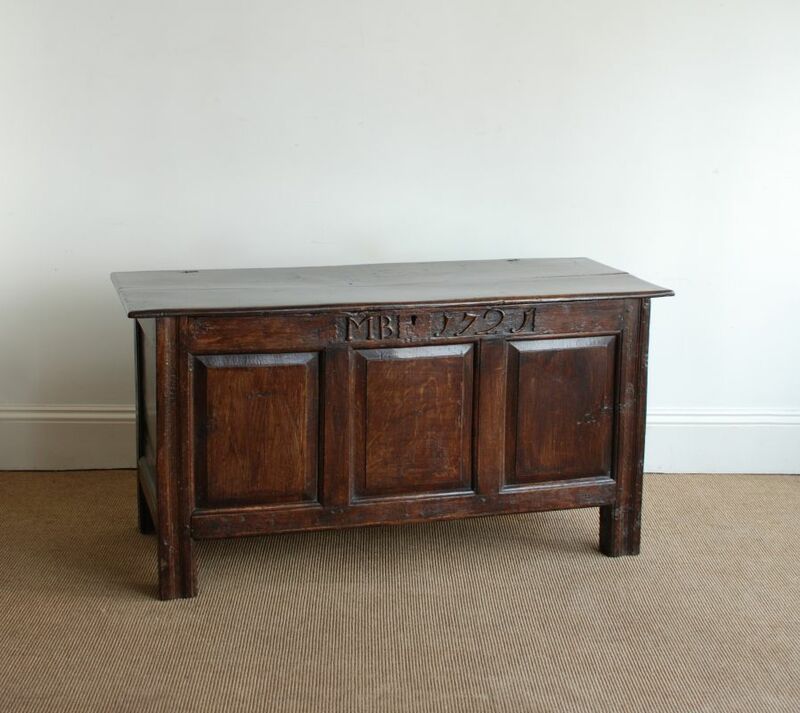 This an early 18th century English oak coffer. It is constructed using simple fielded panels on the sides and a plank top. The base boards run from front to back as you would expect. 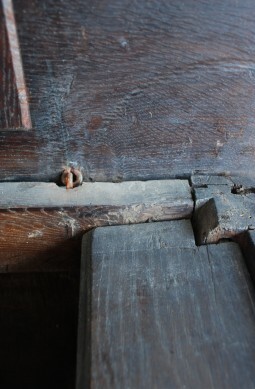 The hinges are cotter pins pushed through the oak to form linking rings. 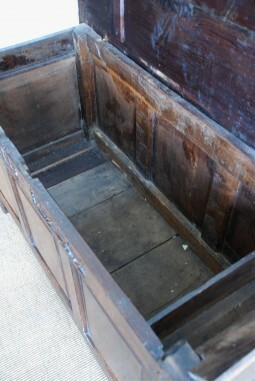 Inside there is a candle box or till for keeping small and precious things. 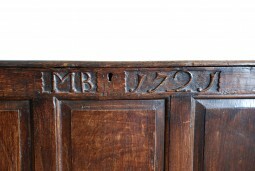 Carved into the front, either side of the lock are initials and date. 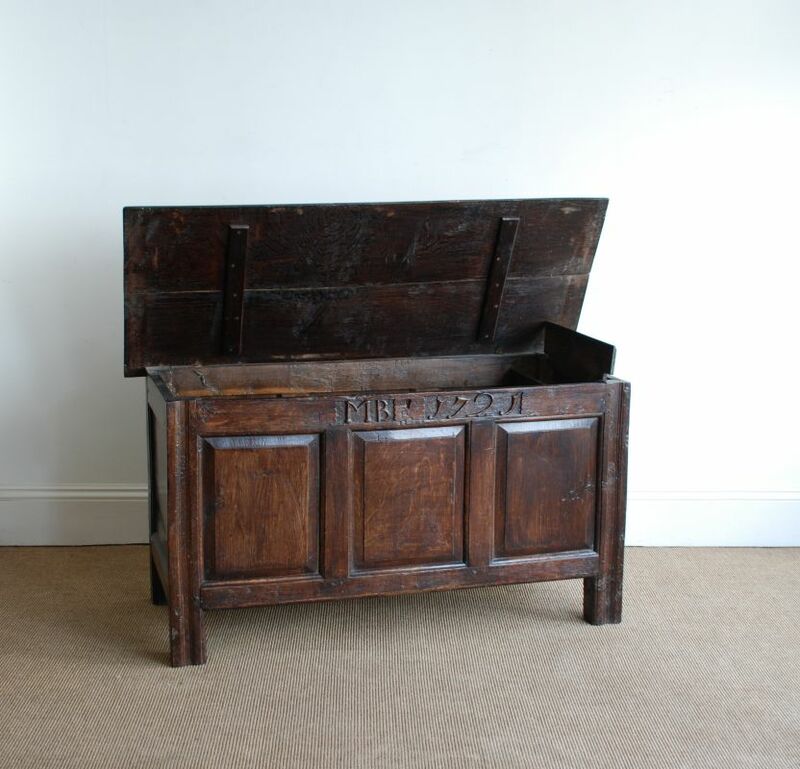 This would have been a dowry or marriage chest. 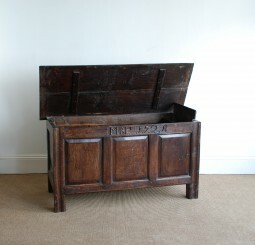 I can tell you that MB stands for Mary Bell, this chest has been in my family for about 100 years. The measurements are 130 cm inches wide, 53 cm deep and 67 high.